The birth rate (technically, births/population rate) is the total number of live births per 1,000 in a population in a year or period. The rate of births in a population is calculated in several ways: live births from a universal registration system for births, deaths, and marriages; population counts from a census, and estimation through specialized demographic techniques. The birth rate (along with mortality and migration rate) are used to calculate population growth. Birth rates ranging from 10–20 births per 1,000 are considered low, while rates from 40–50 births per 1,000 are considered high. There are problems associated with both extremes. High birth rates may stress government welfare and family programs. Additional problems faced by a country with a high birth rate include educating a growing number of children, creating jobs for these children when they enter the workforce, and dealing with the environmental impact of a large population. Low birth rates may stress the government to provide adequate senior welfare systems and stress families who must support the elders themselves. There will be fewer children (and a working-age population) to support an aging population. In many countries, the steady decline in birth rates over the past decades can be greatly attributed to the significant gains in women's freedoms, such as tackling the phenomenon of forced marriage and child marriage, education for women and increased socioeconomic opportunities. Women of all economic, social, religious and educational persuasions are choosing to have fewer children as they are gaining more control over their own reproductive rights. Apart from more children living into their adult years, women are often more ambitious to take up work, education and living their own lives rather than just a life of reproduction. 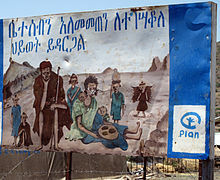 Birth rates in third world countries have fallen due to the introduction of family planning clinics. In Bangladesh, one of the poorest countries in the world, women are on average having two children less often than they did before 1999, according to Australian demographer Jack Caldwell. Bangladeshi women eagerly took up contraceptives, like condoms and the pill, on offer from a foreign population agency in a study by the World Bank carried out in 1994. The study proved that family planning could be carried out and accepted practically anywhere. Caldwell also believes that agricultural improvements led to the need for less labour. Children not needed to plough the fields would be of surplus and require some education, so in turn, smaller families, and with smaller families, women are able to work and have greater ambitions. Other examples of non-coercive family planning policies are Ethiopia, Thailand and Indonesia. According to the CIA's The World Factbook,  the country with the highest birth rate is Niger at 6.49 children born per woman and the country with the lowest birth rate is Taiwan, at 1.13 children born per woman. As of 2017, Niger has the highest birth rate in the world with 49.443 per thousand people. Japan has one of the lowest birth rates in the world with 8 per thousand people. While in Japan there are 126 million people  and in Niger 21 million,  both countries had around 1 million babies born in 2016. At a time when Australia's unemployment was at a 28-year low of 5.2%, the then Treasurer Peter Costello stated there was opportunity to go lower. With a good economic outlook for Australia, Costello held the view that now was a good time to expand the population, with his famous quote that every family should have three children "one for mum, one for dad and one for the country". Australia's fertility rate reached a peak of 1.95 children per woman in 2010, a 30-year high,  although still below replacement rate. According to U.S. federal-government data released in March 2011, births fell four percent from 2007 to 2009 (the largest drop in the U.S. for any two-year period since the 1970s). Births have declined for three consecutive years, and are now seven percent below the 2007 peak. This drop has continued through 2010, according to data released by the U.S. National Center for Health Statistics in June 2011. Experts have suggested that this decline is a reflection of unfavorable economic conditions. The connection between birth rate and economic conditions stems from the fact that US birth rates have fallen to levels comparable to those during the Great Depression during the 1930s. A state-level look at fertility, based on a report published by the Pew Research Center in October 2011, points out the strong correlation between lower birth rates and economic distress. In 2008, North Dakota had the nation's lowest unemployment rate (3.1 percent) and was the only state to show an increase (0.7 percent) in its birth rate. All other states either remained the same or declined. ^ Murphy, Michael (2013). "Cross-National Patterns of Intergenerational Continuities in Childbearing in Developed Countries". Biodemography and Social Biology. 59 (2): 101–126. doi: 10.1080/19485565.2013.833779. ISSN 1948-5565. PMC 4160295. ^ Hayford, S. R.; Morgan, S. P. (2008). "Religiosity and Fertility in the United States: The Role of Fertility Intentions". Social Forces. 86 (3): 1163–1188. doi: 10.1353/sof.0.0000. PMC 2723861. PMID 19672317. ^ Schaffnit, S. B.; Sear, R. (2014). "Wealth modifies relationships between kin and women's fertility in high-income countries". Behavioral Ecology. 25 (4): 834–842. doi: 10.1093/beheco/aru059. ISSN 1045-2249. ^ Lutz, Wolfgang; Goujon, Anne; Kebede, Endale (19 February 2019). "Stalls in Africa's fertility decline partly result from disruptions in female education". Proceedings of the National Academy of Sciences. 116 (8): 2891–2896. doi: 10.1073/pnas.1717288116. ISSN 0027-8424. PMID 30718411. ^ Bloom, David; Canning, David; Fink, Günther; Finlay, Jocelyn (2009). "Fertility, female labor force participation, and the demographic dividend". Journal of Economic Growth. 14 (2): 79–101. doi: 10.1007/s10887-009-9039-9. ^ Collet, M; Reniers, J; Frost, E; Gass, R; Yvert, F; Leclerc, A; Roth-Meyer, C; Ivanoff, B; Meheus, A (1988). "Infertility in Central Africa: infection is the cause". Int J Gynaecol Obstet. 26 (3): 423–8. doi: 10.1016/0020-7292(88)90340-2. PMID 2900173.